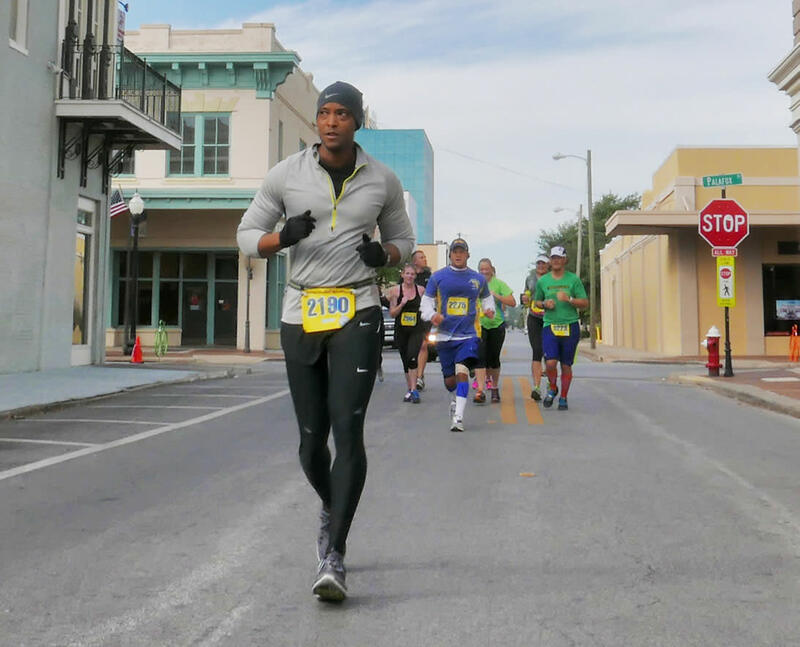 The race begins and ends at Veteran's Memorial Park on the bay front then winds its way along a 13.1 mile circuit of the city for the half marathoners and a full 26.2 loop for the full marathon. The course features running through historic neighborhoods, the downtown district, bands, and cheering Pensacolians. 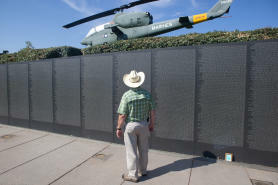 The finish line is next to the only replica of the National Vietnam War Memorial in Washington, D.C. Come check out one of the best post race parties, inclduing shrimp, massages, and ice cold beer! You can still register at the Packet Pick-Up on Saturday from Noon-6 at Voices of Pensacola, across from Seville Quarter.